Make Vinyl Stencils for Wood Signs with Your Silhouette CAMEO...Like a Pro! 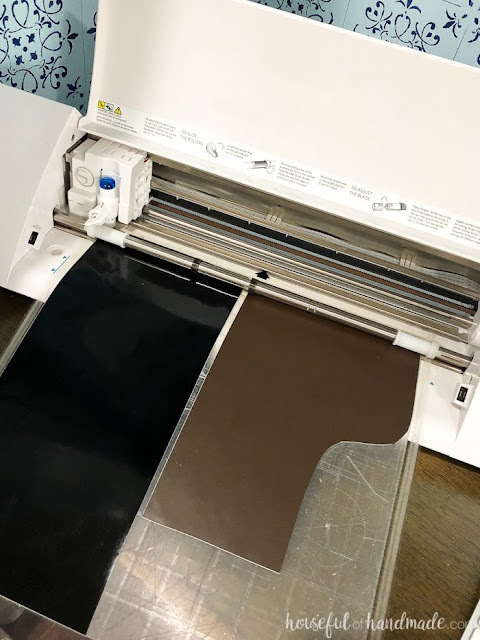 Making stencils with Silhouette CAMEO has always been popular...which means we get a lot of questions about the best way to cut stencils and paint stencils on wood signs. 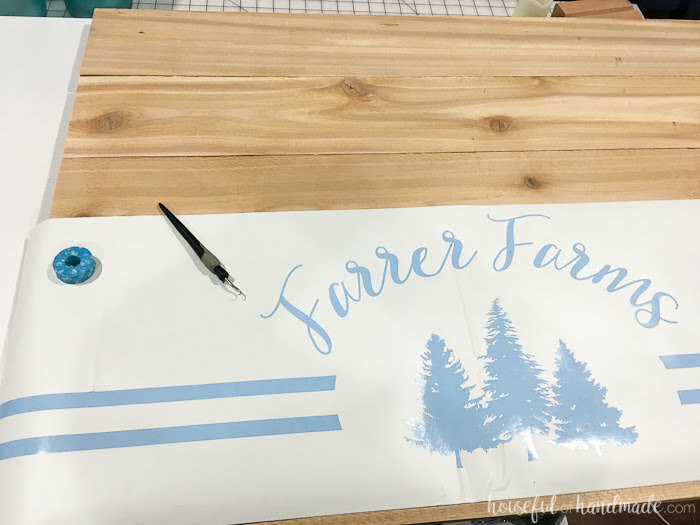 Today Kati from Houseful of Handmade is here to share a few expert tips on getting perfectly painted wood signs with Silhouette and vinyl stencils! One of my favorite ways to use my Silhouette CAMEO is making vinyl stencils. They are so great for creating wood signs, art and home decor. 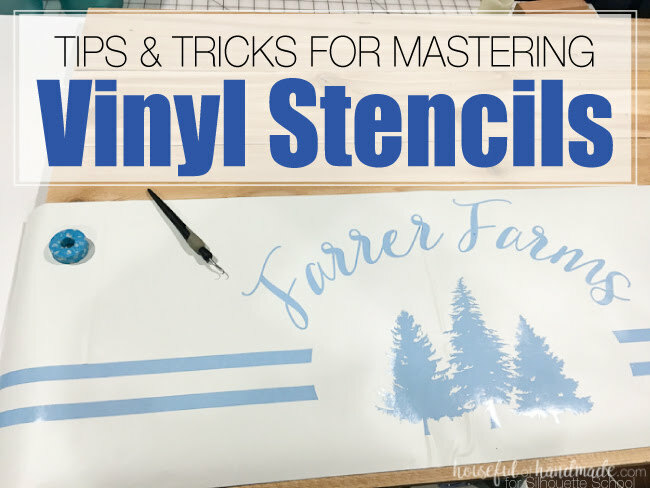 For anyone new to vinyl stencils, I decided to put all my tips and tricks together so you can master them. I promise they will become one of your favorites too. What Vinyl Should I Use for Vinyl Stencils? There are a lot of different types of vinyl and if you are new to stencils, it can be overwhelming. I prefer using Oracle 651 for all my stencils. I know 651 is for permanent application (great for outdoors) and you might think it is overkill for stencils but let me explain. The 651 vinyl has a stronger adhesive to it than the 631 vinyl, but it is still easy to remove. The stronger adhesive is great because it holds up better at the paint lines when exposed to wet paint. I find the vinyls with weaker adhesives can wrinkle up slightly when painted and then you don't have a clean crisp paint line. 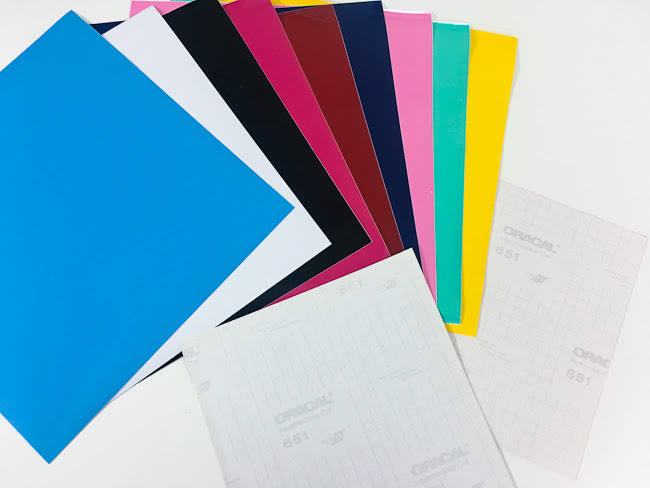 Also, I love buying this Oracle 651 pack so I always have lots of colors to choose from and then I don't have to store and keep track of 2 different types of vinyl. How do you apply vinyl stencils? Start by cutting out the vinyl stencil you want with your Silhouette. For the Oracle 651 I use the following settings: Blade 2, Speed 8 , Thickness 10. Load the vinyl into your Silhouette. 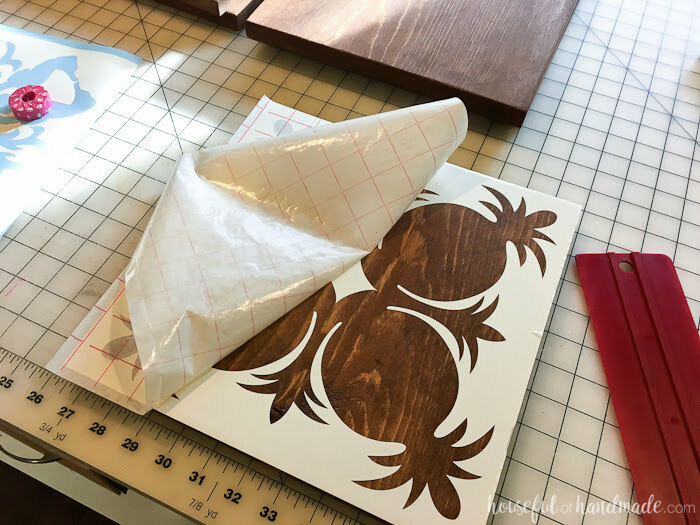 If you are doing small stencils, you can use the cutting mat to hold scraps of vinyl to get the most out of your stash (a 12x24 cutting mat is great for this!). If not, just load the vinyl roll straight into the rollers. Always make sure you have a straight starting edge to your vinyl so it loads straight and for extra long stencils (you know you can cut up to 10' right?) use a roll feeder. Send your design to the Silhouette and watch the magic happen (this is still my favorite part of this machine, I could watch it for hours). Remove the vinyl from the machine and weed out the parts of your design you want painted. 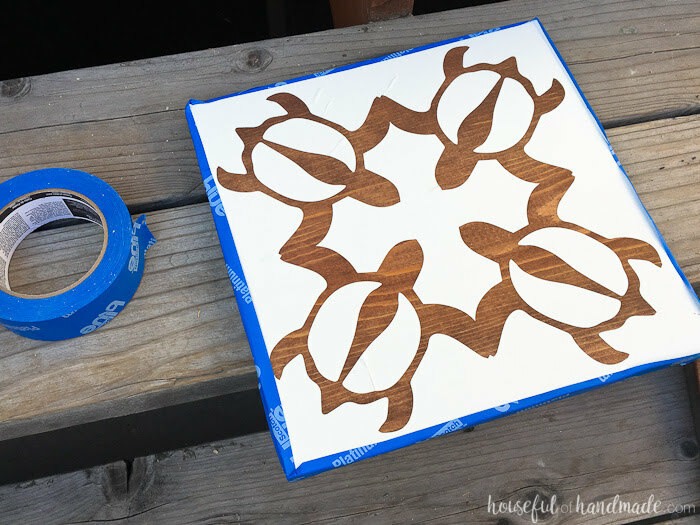 Lay a piece of transfer tape over your vinyl (this one is my favorite, especially for vinyl stencils because I can easily reuse a piece for multiple stencils). Rub the transfer tape with a scraper to affix it to the vinyl stencil. Pull the vinyl away from the backing with the transfer tape. Center it over your surface to be painted and carefully press it smooth. I like to start with my hands until it is laying nicely where I want it, then rub it with a scraper to get the vinyl to adhere fully. Careful to avoid wrinkles especially at the edges. Carefully remove the transfer tape. Then I like to press around all the edges with my finger to ensure there is a nice seal there before painting. How do you get crisp paint lines with vinyl stencils? This is the trickiest part of vinyl stencils. No one wants to peel up the vinyl after all that work and see the paint has bled under the stencil. These tips and tricks can help you get a professional painted edges on all your projects. 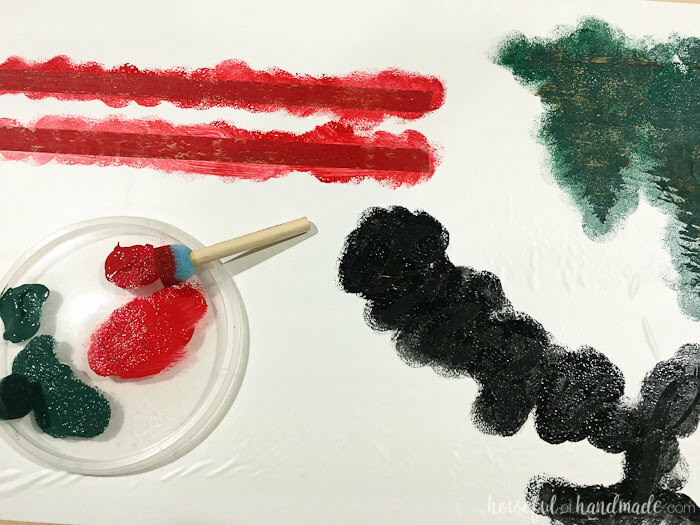 If you are applying the stencil to a painted surface, first paint the stencil with the surface color, then apply the colors you want for the stencil. This will ensure any bleeding under the stencil is the color of the painted surface. For vinyl stencils not on a painted surface, I heard a trick that you can paint the stencil edges with Mod Podge before applying the stencil paint color. I tried this trick once and found that the Mod Podge clung to the vinyl when I peeled it off my wood sign and pulled the paint up in areas with it. It looked worse than if there was a tiny bit of bleed through. This trick definitely did not work for me. Instead I use the following painting tricks. I love these pouncers for painting stencils to help you paint in an up-and-down motion. Rolling the paint over a stencil or using a paint brush can cause more bleed because the paint gets pushed under the edges of the stencil slightly. Spray paint causes less bleed because it is not pushed under the edges of the stencil. 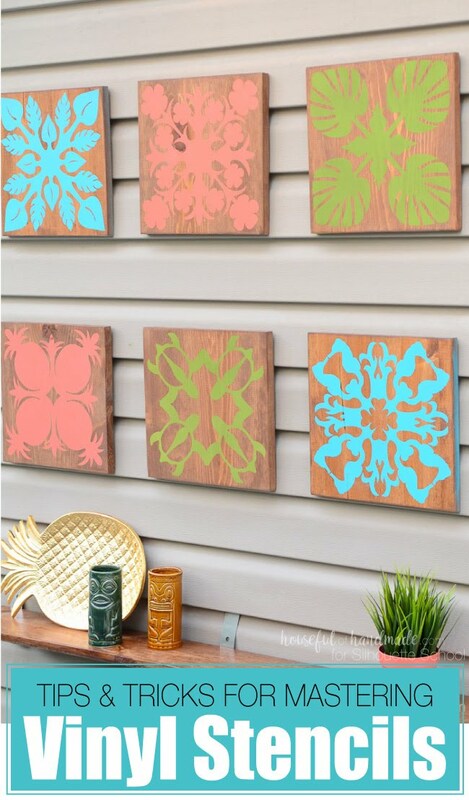 It is also super fast for one color stencils like this tropical wall art. Just make sure to tape off any exposed area around the stencil. Make sure the surface that you are applying your stencil to is smooth so the vinyl can create a seal over it. If the wood is rough and not sanded totally smooth, the grooves in the wood become little channels for the paint causing bleed. However, if you want a more rustic feel, you may not mind a little bleed. 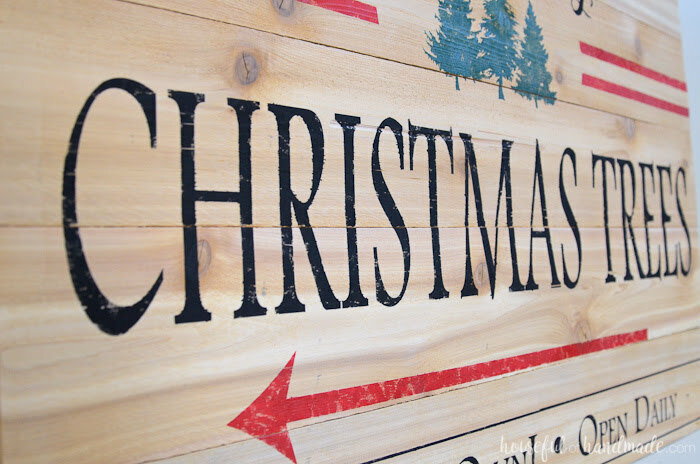 This Christmas tree farm sign I made has more bleed on it because I wanted the wood to be rougher. Remove the vinyl stencil when the paint is barely dry to the touch (maybe slightly tacky) but not completely dry. If the paint dries completely, it can sometimes cling to the vinyl and peel the paint off your project when removed. Use the hook tool to carefully lift out any small pieces of vinyl. Now you are ready to show off your amazing new sign or decor. With a little bit of practice you will be whipping out vinyl stencil projects in no time! Come visit me at Houseful of Handmade for more Home Decor tutorials you can make with your Silhouette.